What, I have to ask, is Jason Mott’s biggest claim to fame? There are so many options: Writing a bestselling novel. Starting a Hollywood bidding war. Attracting the attention (and the wallet) of Brad Pitt’s Plan B production company. Becoming the creative mind behind what I fully anticipate being ABC’s next big hit TV series. Any one of those is far more exciting than my biggest claim to fame, which is probably getting to tell people I share a literary agent with the esteemed Jason Mott. 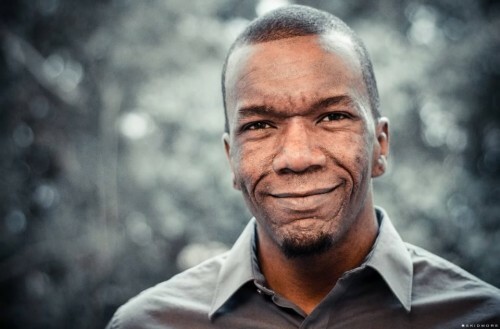 Jason is the author of THE RETURNED, a New York Times bestseller that centers around a worldwide phenomenon in which people’s loved ones begin rising from the grave. But no, it is not a zombie apocalypse. It is an emotional, touching, and extremely thought-provoking look at how human beings–particularly Harold and Lucille Hargrave, who lost their eight-year-old son decades earlier–would react to such an event. 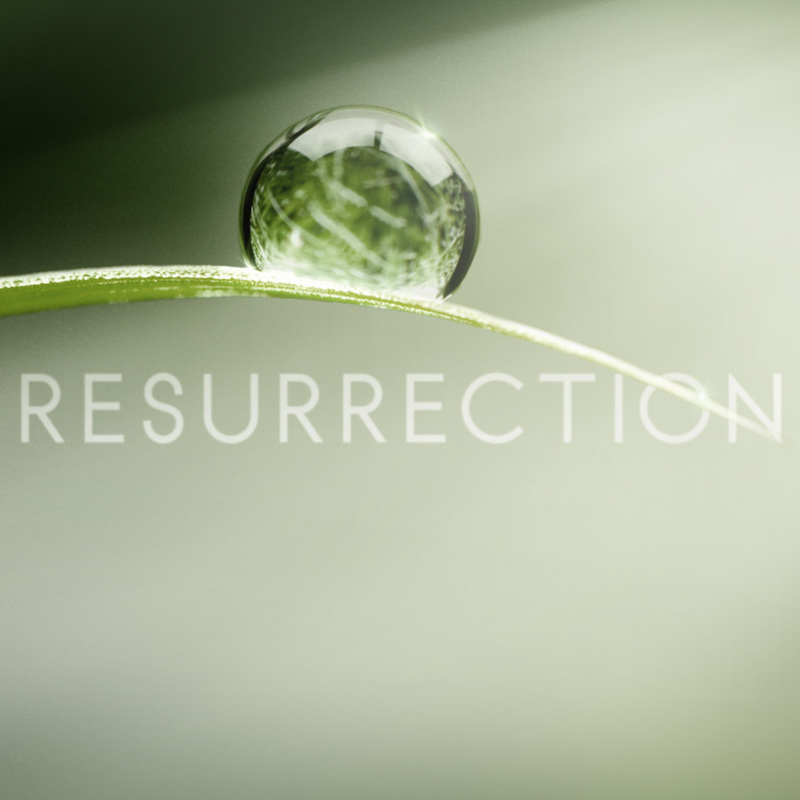 THE RETURNED is the inspiration for ABC’s brand new series, “Resurrection,” which premiered three days ago. I am beyond honored to be hosting Jason today, and to be giving away five autographed copies of his novel. Details follow after the interview. 1. THE RETURNED centers around a worldwide event in which everyone’s loved ones return from the dead. I’m sure this is something we’ve all wished for—just for a moment—at one point or another. But you took it a step further and began to really look at what that would mean beyond the wishful nostalgia. Can you talk a bit about your thought process here? I wanted to explore the truth behind how I felt that type of event might happen. The entire project started when I dreamed that I came home from work one day and found my mother sitting at the kitchen table waiting for me. It was a warm, cathartic reunion, and I feel that’s how we all think of this idea initially. However, in the writing of the novel, I tried to take things further. I tried to think how this might play out after the initial hugging and crying and joy of being reunited with someone we’ve lost. After thinking it out, I realized that, if my mother returned to me, she would come looking for the 22 year-old son she left behind. What she would find instead is a 35 year-old man who is very different than he was when she “left.” It’s that change, that dissonance of time that occurs when we lose someone, that I wanted to explore with THE RETURNED. 2. Today, when people hear that a book is about people rising from the dead, they automatically think flesh-eating zombie apocalypse. Obviously, your story wound up becoming extremely successful, but in the beginning, do you think this unique angle made it easier or harder to sell? I can’t quite say if it made it harder or easier to sell, but I think it definitely made it a different type of sell. There were times, early on, when I had to pre-emptively tell people “but it’s not a zombie story.” But the more I talked about the book the more people began to understand what I was shooting for and, thankfully, the end product has been well-received. 3. What do you love about this story? What do you want readers to get out of it? The thing I love is the moment in time that the story explores. As much as anyone else, I would love to be back with the loved ones I’ve lost. Both of my parents have passed away and I would give anything to have another few moments with them. So, with THE RETURNED, I get to imagine those moments and, to a certain extent, live in them.The thing I most hope readers from the novel is the importance of the connections we make between each other and the importance of making the most of the time we all have together. 4. By the time this interview gets posted, you’ll have experienced something most writers only dream of: your creation acted out for the world to see, the characters you breathed life into actually becoming flesh and blood. How do you feel about that? If you have seen the pilot, how did it compare to what you envisioned as you wrote the novel? I’m absolutely thrilled about the adaptation of THE RETURNED into the television series “Resurrection.” The production company has done a wonderful job and I’m in awe of everyone that has worked on the project. Yes, I have had a chance to see the pilot and I absolutely love it. They’re doing the perfect job of staying true to the spirit of the project, while also taking the story and the characters into totally new directions. To me, that’s exactly what an adaptation is supposed to do. 5. THE RETURNED began as a short story, grew into a novel, and even burst past those borders into three prequels (The First, The Sparrow, and The Choice). Do you anticipate writing any further about this world, or are you moving on entirely? Can you give any hints as to what fans can expect from you next? As for writing in this world again: right now, I don’t have any plans along those lines, but one never knows what the future will hold. For certain, I loved the characters within the novel and there are most certainly times when I wish I could hang out with them again. My next project is a completely new story, but my hope is that readers of THE RETURNED will find something familiar within it. It is another magical realism story about a father and daughter who become the center of attention after something miraculous happens. That’s the most I can say for now, but more details will be coming very, very soon. Most of my projects begin with an idea and a character. I’ll usually hear about something on the news or just have an interesting discussion with a friend and, from that, I’ll make a bit of a game of taking things to their extremis. I like thinking about “What would really happen next?” and then I keep going further and further with it. Sometimes it leads to a story. I write at home, starting first thing in the morning. Whether it’s in silence or not depends on what stage of the writing I’m at. On first drafts, I usually prefer silence. When I begin revising, I like to put a movie on in the background just to have something to listen to. I’ve become a huge fan of outlines, so that’s really where I start. Novels are massive undertakings, and having an outline is the only way that I can keep it all together in my head. 7. Thousands of people dream about going from polished manuscript to agented writer to debut author with a big publishing house behind them. What have you learned during this process that aspiring writers might find helpful? The greatest thing I’ve probably learned is the importance of professionalism and also the importance of understanding just how much work writing really is. Trying to get published is brutal. Very, very brutal. There’s simply no way to dress that up and make it sound better. But, as writers, we have to remember that publishing is an industry made up of people who are all very passionate and excited about books, and even when we get rejected, it’s never anything personal. It always feels personal (believe me, I know) but it never is. The other point is about the workload. Writing is extremely difficult. It’s a job that always demands attention and, worst of all, it’s a job that will always let you quit. The page will always let you walk away from it. The hard part is not walking away—again and again and again. 8. Inevitably, there will be rough days. How did you get through them? On the rough days I just try to keep writing. It’s difficult, and on those days I wonder why I’m doing any of it. I feel like I just can’t get anything right. But I’ve learned to sit there at the desk and, when all else fails, just keep my fingers moving. I just keep writing and I don’t judge it. Even if I wind up deleting everything I wrote that day, I still wrote. And that’s a win in my book. Want to find out more about Jason? Visit his website, jasonmottauthor.com, or reach out to him via Twitter and Facebook. Comment below to win an author autographed copy of THE RETURNED (continental U.S. addresses only, please). The giveaway will remain open until 11:59 p.m. EST Sunday, March 16, at which point five winners will be chosen at random. This is a great giveaway, so best of luck to you all! Wow, wow, wow. Great interview! I really hope I win this one. I just saw the pilot for Resurrection the other night and I’m so interested on how the rest of the show is gonna play out. Now knowing that it was based off this book has got me wanting my hands on a copy! Thanks Rebecka. It’ll definitely be worth it! The Returned sounds like a great read…but I really like your advice about writing. I teach junior high Language Arts, and my students often tell me, “I can’t write.” My response–“Just put your pen to the page and let it flow. Writing is a process that needs practiced.” It is good to be able to tell them that even published writers aren’t satisfied with all that they write. Thanks. Pick me – pick me! Sounds like an even more fabulous book than the tv show! Great interview– thanks! It’s always so interesting seeing how authors and TV/film directors tackle the same story! This book sounds very good! I like the fact that it’s not a zombie story (because frankly, I don’t know why they’re all the rage!) but rather a different angle of coming back to life. I already had the book on my Goodreads “to read” when I saw he was going to be interviewed here! I also have Resurrection on my DVR to watch ASAP! I love that Jason and I are both from NC! So cool! Right? The plot possibilities are endless. Fantastic idea. Can’t wait to read it. I watched the TV pilot show Sunday and liked it. I like finding out that it is based on this book. Thank you for the chance with the giveaway. I missed the pilot on Sunday and ma SOOOO bummed, because the minute I saw this book listed on Goodreads, I thought, “Wow! What WOULD happen if the deceased came back?” In fact, when I first saw Resurrection advertised on TV, I said to my husband, “Wait! That’s a book! I bet it’s based on the book I saw on Goodreads.” I looked it up on my ‘to read’ list, and bingo! One in the same! At any rate, what a concept RIPE with conflict and emotion. I would love to win this book (and need to find out how to see the pilot I missed). I love that Jason admits how “brutal” writing is and that he is so candid about the struggles on some days to write. Thanks Melissa. I do hope you can find a way to watch the pilot, but highly recommend the prequels in the meantime! Very interesting, indeed 😉 Thanks for stopping by, Andrea! I was really excited about this contest because The Returned looks like a fantastic story, but then I saw it is only for US addresses, so I guess I am out of luck :(. Thanks so much to Jason for providing this opportunity! There is definitely a lot to think about with this premise! Would love to win this book. I missed seeing the pilot, but I always think the book is so much better !! I completely agree. The book lets each reader color the story individually. TV and film not as much. Great interview! Such an interesting topic. Have read all the prequels and am looking forward to reading The Returned. Would love to have an autographed copy. Thanks for the chance! I’ve seen the trailers for the series, and it looks great! 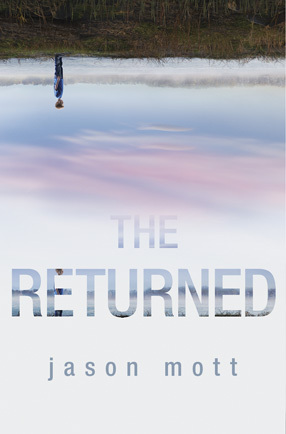 I enjoyed reading your interview with Jason, and I’d be thrilled to win an autographed copy of The Returned. It sounds like a wonderful book. Thanks for posting the interview and for hosting the giveaway! Thanks for commenting, Ricki. And best of luck! This sound like an awesome book! I really would like to read this; would be even awesome to win this giveaway!~ Thanks for the awesome interview and the giveaway!!!! !